This is the public profile of Lissa Koo, Additional information and high-resolution images are available for accredited press members, to access additional information about Lissa Koo please login as a press member. About Lissa Koo : Lissa Koo, a creative designer with overflowing credentials from both S. Korea and New York. During her earlier years, she studied textile and clothing at one of the most prestigious universities in Korea. After completing her undergraduate studies, Lissa has successfully ran her own concept store, York Avenue, in the busiest streets of fashion in S. Korea. To enhance her knowledge in the fashion industry, she came to New York to further her studies in fashion design at The New School (Parsons). Not to mention, during her studies in Parsons, Lissa was a intern at globally recognized companies like Etro and Zimba Collections. With the confidence of being one of the top designers in this industry, Lissa has created her own brand, 'saku'. 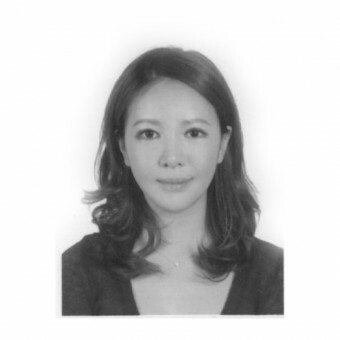 With her experience in both S. Korea and New York, she shows strong attributes of the market worldwide. I believe art means making something new, and creating something that the world has never seen. Art is mix and matching new materials to create something fun. To me, art is something I can share these new designs with. Sometimes, I need to try things upside down and flip things inside out to bring new ideas. During this process is when I feel the most happiness. This is Art. Out of the 20 finalists, I was rewarded with the Parsons SOF (School Of Fashion) award. 2007, "Certificate of Achievement", Ewha Woman's University, Fashion Merchandising Processional, Seoul/Korea. Press Members: Request an exclusive interview with Lissa Koo.